Jet-setting celebrity kids are the newest fashion icons. 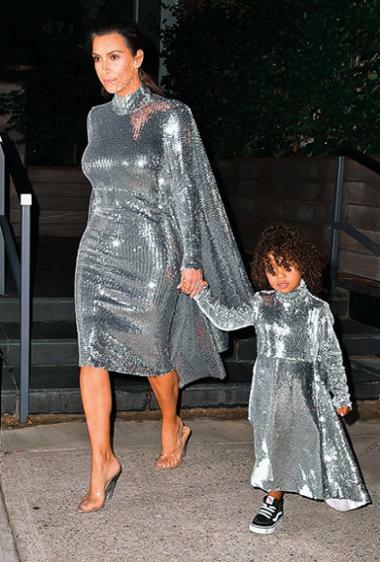 Leading the pack is the uber-stylish North West, Kim Kardashian and Kanye West’s eldest daughter, who at the age of five boasts of a magazine cover and an enviable wardrobe full of high-end designer wear. 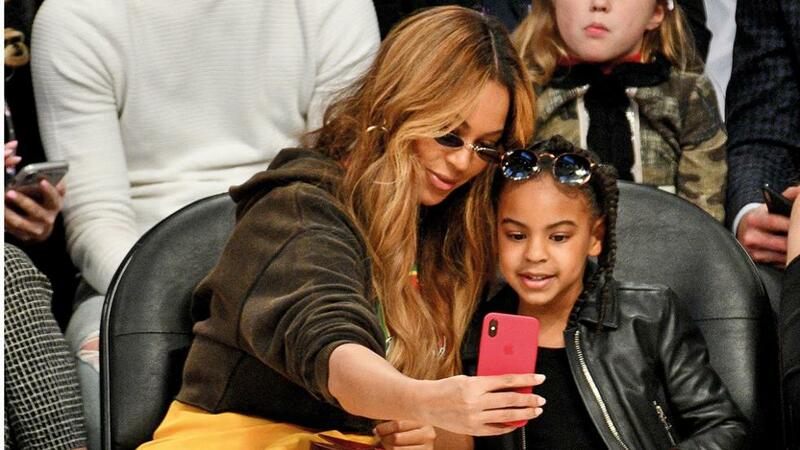 Meanwhile, Beyonce’s daughter Blue Ivy Carter often twins with her mum in luxury couture, and Victoria Beckham’s youngest child Harper had not repeated an outfit until she was 15 months old! Frequently photographed with their parents and featured on social media posts, these little fashionistas are setting style goals for adults, and also inspiring trends in a booming children’s wear market. For today fashion is not only for celeb kids. As millennial parents high on style quotient and spending prowess are making a conscious effort to turn their tots in their very best, dressing up little people is big business. Look around and you cannot deny that the average kid on the street looks trendier than ever. Be it a birthday soiree or a day out with the family many city children today step out at their fashionable best. And given how discerning their customers are, kidswear brands are forever evolving to meet their demands and in turn becoming one of the fastest-growing garment industries worldwide. According to Euromonitor, the value of childrenswear in the US alone is estimated to grow at around 8 per cent by 2021. The latest styles and trends are also reflected in the kidswear available in the UAE. 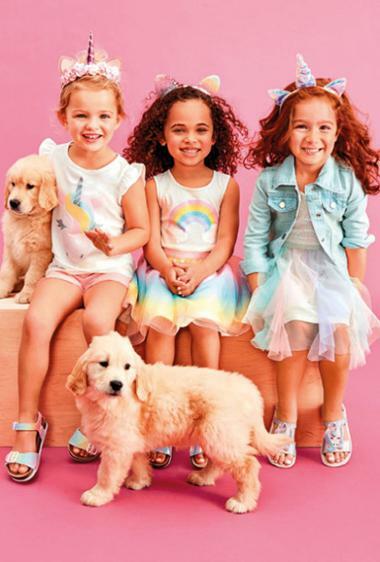 Max Fashion, a leading brand in the UAE that has a dedicated section for childwear, follows an age-centric approach with focus on seasonality and international trends, while designing clothes for kids. ‘Our fashion lines are designed in-house, and our team works towards creating fun, comfortable and practical wardrobe styles for kids in the age group of 0 to 16. Comfort and safety are crucial for newborn and toddler garments. As the kid’s age progresses, the designs become interactive to appeal to an active mind. 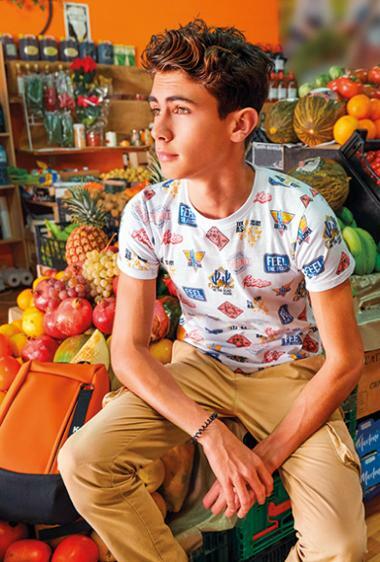 Older children have a stronger sense of individuality, so their clothing is reflective of this spirit,’ says Haroon Al Rasheed, head of marketing at Max Fashion, UAE. From spunky street wear to comfy athleisure to eco-friendly clothing, the emphasis is on constant newness in stores. With several leading adult brands also jumping on the kidswear bandwagon, parents and kids are spoilt for choice. For the spring 2019 collection, market watchers say the trend includes floral and animal themes, tees with Disney characters, matte flip sequins, playful eco-prints and positive statement slogans. ‘In ready-to-wear fashion for girls for 2019, the trend is for clothes with flip sequins, shakers and unicorns. For boys, matte flip sequins are in demand along with dinosaurs, ninjas and glow in the dark graphic artwork on clothes,’ says a spokesperson from The Children’s Place, UAE. 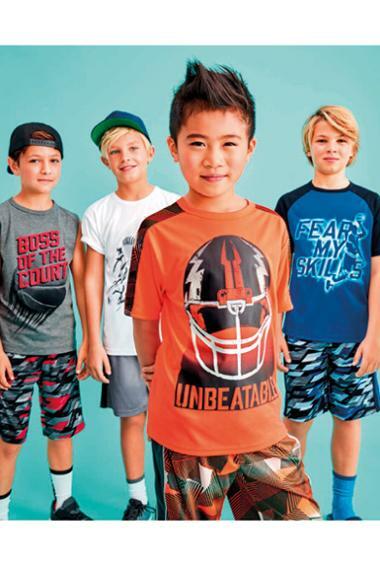 The store retails clothes for newborns to 14-year-olds. The in-house design team at Max Fashion has focused this season on clothes that support children’s playful vibe. Superhero and Disney cartoon characters as well as clothes with eco-prints and positive statement slogans are popular in all age groups this season. For younger girls the Max Fashion brand’s collection is centred on prints and florals that include blooming flowers, single buds and plant patterns. In the older age group for girls from 8 to 16 years of age the trend is on wearing animal prints. ‘Nautical and surf themes run throughout spring summer for younger boys. For older boys, fashion is adapting a 90s athleisure aesthetic across activewear and streetwear,’ points out Rasheed. At Smyk, a Polish kidswear retail chain, with stores in the UAE, clothes in vibrant pastel colours top the spring summer collection this year. The brand’s Cool Club range that produces fun and functional clothes for kids up to 14 years of age has stripes, polka dots and catchy slogans woven on clothes in perky pastel shades. Adding bright pops of colours in unexpected places on jeans, shorts and tops is in vogue too. The must-have shades this season are yellow, pastel blue and salmon; with neon, metallic and olive being sought after as well. Although being in line with fashion and looking trendy score high for both parents and kids, it is comfort that still takes top priority while choosing clothes, especially for toddlers. 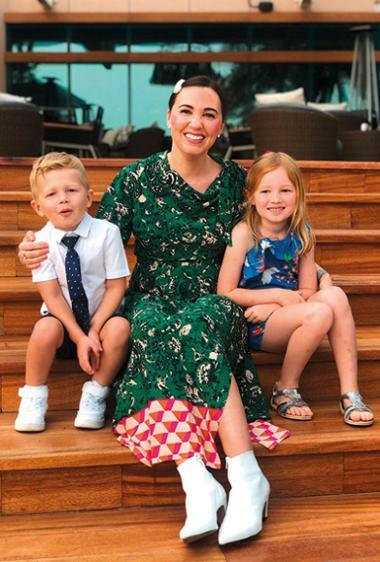 When Emily Liden, a Dubai-based mum of two daughters, goes shopping for her kids she always picks out clothes that are both stylish and comfortable. ‘First and foremost they should feel happy, comfortable and clean wearing their clothes. Then I look for quality, style and the price. At the same time as I am raising girls, I like them to enjoy fashion and develop their own sense of style,’ says Emily, who also writes the popular Dubai Our Sandbox blog. Both her daughters, Luella, 10, and Josefin, 4, have strong opinions on what they wear. Currently, says Liden, they are hung up on the denim fad — wearing jeans, denim skirt and shorts on repeat. Yet another favourite of the girls is sequins and glitter on clothing. Undoubtedly, children today have a strong say in what they wear. Inspired by pop culture, cartoon characters and YouTube icons, they influence their parents’ shopping choices. Five-year-old Dubai kid Molly Feeney is a big fan of LOL surprise dolls, the new collectible sensation, and insists on buying all her clothes with its embellishments. ‘The bane of my life right now; these dolls are everywhere and if she sees an item of clothing in a shop with the doll, she immediately wants it and is not interested in anything else in the store,’ says her mother Irene, a fashion stylist. Her three-year-old son Conor is a Paw Patrol cartoon series admirer and prefers clothes with its characters on them. The brands too are well aware of their little shoppers’ likes and dislikes. Their in-house design teams research and adapt collections to mirror these choices. ‘We are constantly innovating keeping in mind the latest trends to make sure that we stay relevant to ever-changing tastes. Kids have strong opinions on what they like to wear. They emulate their older siblings or celebrity idols, so we also pay close attention to teen brands that translate well into childrenswear as well,’ says The Children’s Place. In recent times kids’ fashion has seen a shift towards matching grown-up tastes. Walk around the aisles of a kidswear store and you will find clothes that reflect mature aesthetics modelled on trends in adult wear. Silhouettes and overall lifestyle trends in kidswear are usually hand-me-downs from adult fashion. Take for instance athleisure, boho chic, cold shoulder silhouettes, mesh piecing and cut-outs in kids clothing are all inspired by adult fashion. ‘With the increasing number of older kids actively following international celebrities, fashion influencers and high-street labels on digital media, fashion is becoming more in real time for them. These young fashion enthusiasts are responsible for trends that are changing faster than ever before,’ points out Rasheed. With social media making it easier to show pictures of nattily dressed kids, both parents and fashion labels are taking this facet more seriously. Popular blogger moms and mini-influencers use their online presence to promote their preferred brands. The labels on the other hand get a chance to forge a direct relationship and understanding of their customer needs. ‘Each season we take into consideration current digital fashion trends while designing. Bloggers and Instagram mums provide additional ways to showcase our collections and inspire other moms to shop the brand,’ explains The Children’s Place. 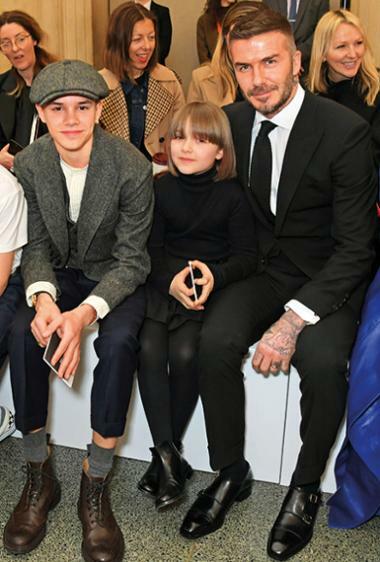 One of the biggest impacts of a social media-inspired trend to hit the childrenswear industry is the mini-me rage. Driven by the likes of Beyonce and Kim Kardashian, kids and parents are increasingly twinning in matching clothes. Loved by social media users and heralded by psychologists for its family-friendly positive imagery, the trend has inspired special collections by cloth makers. Several international brands, including Gucci, Balmain and Dolce & Gabbana, have launched mini-me collections. ‘I love the mini-me trend, especially because my daughter looks a lot like her father and this way I can make her look a tiny bit like me,’ says Avantika Mohan, Dubai-based mother to 20-month-old Rayna. She often twins with her daughter Rayna in matching outfits for weekend day outs. Irene too admits being a big fan of the mini-me trend and tries her best to match clothes with her daughter. ‘A lot of retail stores these days are creating mini-me collections in particular for moms and daughters, which I’m so on-board with. I just wish there were more options for mini-me with mums and sons,’ she says. Historically, pink-coloured attire has been associated with girls and blue with boys. But that’s changing too with the introduction of gender neutral, unisex clothing in shades of black, white and grey that aim to ‘de-princess’ girls and ‘de-soldier’ boys. ‘It used to get frustrating to see that the most beautiful frock on the shelf was always either pink or white. But that’s changing. I certainly like dressing my daughter in all the colours and not feel bound by them. 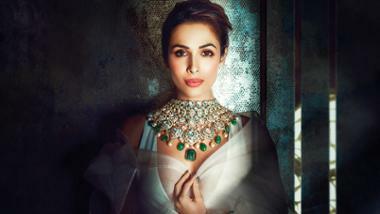 Blue isn’t just for boys, pink doesn’t mean girly,’ says Avantika. Songstress Celine Dion has recently championed this cause with the launch of her gender-neutral kidswear line called Celinununu. The popularity of sportswear, graphics and prints in casual clothes has also aided this new style. Childrenswear is also mirroring the shift in the wider fashion market towards eco-conscious and sustainable fashion. 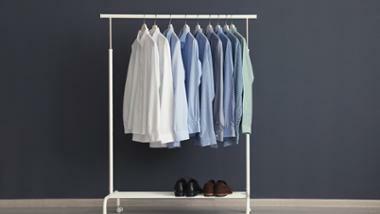 Brands are moving towards organic cotton clothes and keeping away from synthetic fibres. Look for clothes with GOTS (Global Organic Textile Standard) logos, a certification for ecologically produced garments. ‘I commend retailers in Dubai such as Mumzworld who have just launched a Better Planet section on their website solely focusing on fair trade organic clothing, no-plastic and all things sustainable. The same can be said for High Street giant Marks & Spencer, whose kid’s clothes are all made from 100 per cent organic cotton. There are many other brands now that are making sustainable choices in their production and we as consumers are also more aware about buying sustainable clothing,’ says Irene. Eco-friendly or gender neutral, athleisure or boho-chic, high end or streetwear — there has never been a better time than this to shop for the little people in your life. And we all know there is only one pretty child in the world and every mother has it. 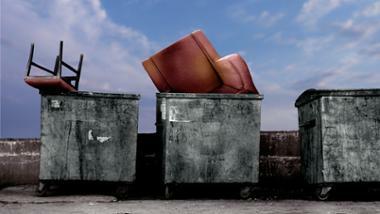 What happens to used furniture in the UAE? How can I look well-dressed and stay cool in summer?